Muhammad is a vital link between Allah Ta'ala and Mankind and Love of the Prophet Muhammad is an essential part of one's Iman. Thus Allah Ta'ala commands Muslims to follow (Muhammad ) in Quran as "Say: O, people! if you do love Allah, follow me , Allah will love you and forgive your sins" (Surah Ale-Imran, Verse 31). . The direction is double sided. On the one side, One must follow the Holy Prophet if one loves Allah Almighty , while on the other, one must follow the Holy Prophet if one wants to be loved by Allah Almighty. In other words, as far as love of Allah Almighty is concerned, the follow-up of Holy Prophet is a pre-requisite. This is what Allah Almighty declares. Now listen to what the Holy Prophet declares: "That is, none of you is Momin (believer) unless I am dearer to him than his parents, his children and all other persons." (Sahih Bukhari). All other persons would naturally include all relatives, friends, authoroties etc. 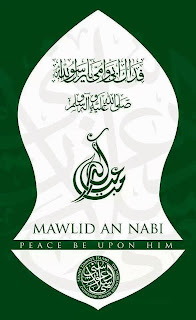 It is this divine love that every Muslim Momin feels in their hearts and pay the highest respect to our beloved Prophet after Allah Ta'ala and when the month of Rabi-Awwal comes these Ashiq-e-Rasul start celebrating the birth of their master (Aaqa) Muhammad with great joy in the form of Mehfil-e-Milad. Naat-e-Rasul is a way to praise our beloved prophet in the form of poetry or rhymes. 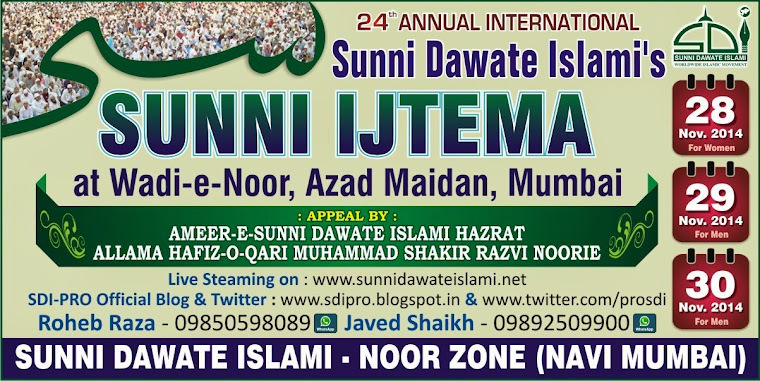 Reading Naat gives heart burns to the Munkir-e-Milad and once again they show their animosity against Naat by calling Naat Khawah Mushrik and Bidatti etc. My dear muslims these are the few verses from the Quran where Allah Ta'ala honors and praises His most beatiful creation Muhammad . The Quran is full of such Praises and honors for Rasulallah (salallahoalaihewasalam). There are several hadees where Rasulallah (salallahoalaihewasalam) himself ordered Hasan bin Thabit to read poetry in his praise. I wonder what munkir-e-Milad would be thinking of Allah Ta'ala and Rasulallah now?, but we the lover of Rasulallah (salallahoalaihewasalam) believe that praising anybody within the boundary of Shariah is in fact indirectly praising Allah Ta'ala who is the creator of all universe. The example is like that if somebody praises a building for its beautiful construction that means indirectly he is also praising the people who were behind this construction i.e. the architect, the designer, the builder etc. If praising somebody is sin or bid'at or shirk then (God forgive) every one of us is committing this sin by praising one's father, mother, son, daughter, teacher, leader or anybody in any aspect. 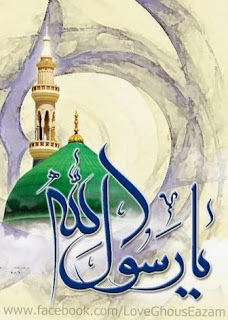 Finally if Munkir-e-Milad proves where in Quran Allah has drawn a line for praising His prophet , we will stop there but instead Quran said about Rasulallah "And We have exalted for you your remembrance" (Surah Al-InShirah, V-4) When Allah Ta'ala raises the remembrance of prophet Muhammad then who on Earth has power to lower it. In this book, the great scholar he has shed light on the historical and legal status of the Meelad Shareef in his own characteristic scholarly style. Before forming any opinion on the status of this booklet in imparting knowledge and benefit, first of all consider the illustrious personality of the author. The highly acclaimed "Tafsir al-Jalalain" which he co-authored is still a prescribed textbook in religious institutions and Muslims of all shades of opinion study and teach it, and praise Imam al-Suyuti for this work. Apart from this, his book on Usul al-Tafsir called "al-Itqan fi Ulum al-Quran" became an indispensable source of reference for all later works on the subject. "Al-Badr al-Manshur", his Tafsir of the Holy Quran is referred to as an exemplary Tafsir. On the characteristics and miracles of the Noble Prophet (sallal laahu alaihi wasallam), his work entitled "al-Kasa'is al-Kubra" has the distinction of being the foremost on this topic and excerpts from it are to be found in the works on Sirah by eminent Imams and Ulama. 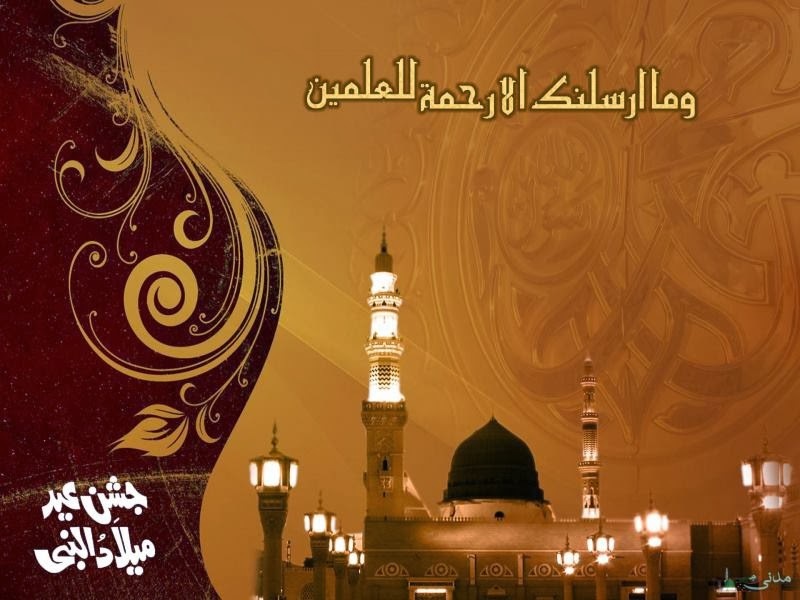 The reply to this question is that in my view the Meelad Shareef, Celebration of the Birthday of the Noble Prophet (sallal laahu alaihi wasallam) is in fact such an occasion of happiness on which people assemble and recite the Holy Quran to the extent that is easy. 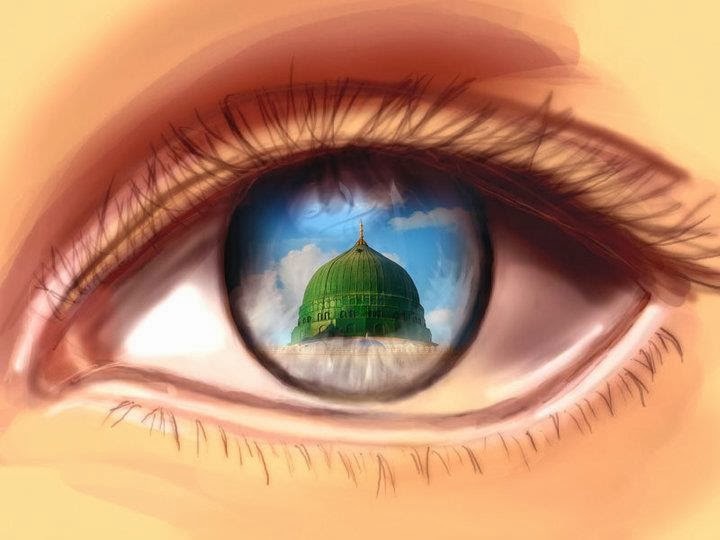 Then they relate the prophecies concerning the appearance of the Noble Prophet (sallal laahu alaihi wasallam) that have been transmitted in Ahadith and Athar, and the miraculous events and signs that took place on his birth. Then food is set before them and according to their desire they partake thereof to satisfaction.This festival of celebrating the birthday of the Noble Prophet (sallal laahu alaihi wasallam), is a Bid'ah Hasanah (a good innovation) and those arranging it will get blessings, since in such a celebration is found the expression of joy and happiness at the greatness and eminence of the Noble Prophet (salall laahu alaihi wasallam) at his birth. Ibn Kathir (radi Allahu anhu) writes about Sultan Muzaffar as follows: "Sultan Muzaffar used to arrange the celebration of the Meelad Shareef with due honour, glory, dignity and grandeur. In this connection, he used to organise a magnificent festival. He was a pure-hearted, brave and wise Alim and a just ruler. May Allah shower His Mercy on him and grant him an exalted status. Sheikh Abu al-Khattab Ibn Dhiyah also wrote a book for him on the Meelad Shareef entitled 'al-Tanwir fi Mawlid al-Bashir al-Nadhir' (Enlightenment on the Birthday of the Bearer of Good News, the Warner). For this book Sultan Muzaffar awarded him a gift of one thousand dinars. Sultan Muzaffar remained the ruler until his death, which occurred in 630 A.H. in the city of 'Akka when he had the Europeans under seige. In short he was a man of piety and noble disposition". Sibt Ibn al-Jauzi (radi Allahu anhu) wrote in "Mir'at al-Zaman" that one participant in the Meelad Shareef organised by Sultan Muzaffar states that on the royal table-spread were laid out five hundred prepared goats, ten thousand chickens, one hundred thousand earthen tumblers and thirty thousand baskets of sweet fruits. He further writes that eminent pious Ulama and illustrious Sufis used to attend the Meelad Shareef ceremony held by the Sultan, who used to honour them with robes of distinction and royal favour. 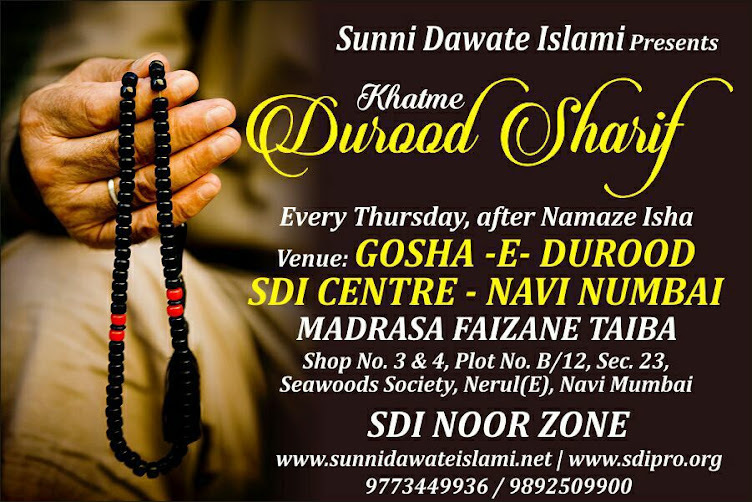 For the Sufis there used to be a Mahfil-e-Sama from Zuhr until Fajr, in which the Sultan himself used to participate and derive ecstasy there-from together with the Sufis. Every year his expenditure on the Meelad Shareef amounted to three hundred thousand dinars. For those coming from outside (the city) he had a special guest house commissioned, where people from all walks of life used to come from different places and without any discrimination of status. The expenditure of that guest house used to be one hundred thousand dinars annually. Similarly, he used to spend two hundred thousand dinars annually to ransom Muslim prisoners-of-war from the Europeans. Also for the maintenance of the two Harams and for providing water along the routes in Hijaz (for pilgrims), he used to spend three thousand dinars annually. These are in addition to the Sadaqat and charity that used to be given secretly. His wife, Rabi'ah Khatoon Bint Ayyub, the sister of Sultan Nasir Salahuddin narrates that her husband used to wear a garment (Qamis) of coarse cotton costing no more than five dirhams. She says that she once rebuked him for this, upon which he replied that his wearing a five-dirham garment and spending the rest of the money in charity is far better than wearing a costly garment and giving a poor or indigent person mere good wishes. Ibn Khallikan wrote in the biographical sketch of Hafiz Abu al-Khattab Ibn Dihyah: "He was one of the pious Ulama and famous scholars. He travelled from Morocco to Syria and Iraq. In the year 654 A.H. he passed through the area of Irbil, where he saw that its ruler, the eminent Sultan Muzaffar al-Din Ibn Zainal-Din arranged for celebrating the Birthday of the Prophet. So he wrote the book 'Kitab al-Tanwir fi Mawlid al-Bashir al-Nadhir' for the Sultan and himself read it out to him.I myself heard the book read out in six sittings at the Sultan's place in 625 A.H."
Sheikh Tajuddin Umar Ibn Ali al-Khumi al-Iskandari, well known as al-Fakihani, has claimed that the Meelad Shareef is a reprehensible Bid'ah (innovation). In this regard, he wrote an essay entitled "al-Mawrid fi-l-Kalam ala-l-Mawlid" (The origin in Discussion about the Birthday of the Prophet).